Ready for some old school horror? If you're tired of CGI and cheap trick special effects in modern horror films, how about watching one with a good story, real characters, and great acting? That's exactly what you get with The Haunting. 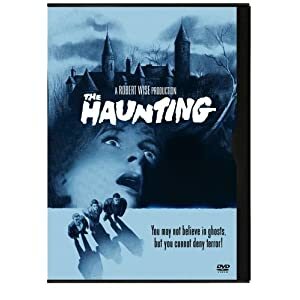 Made in 1963, this is one of the most highly rated ghost stories of all time. In the story, a doctor is doing research to prove that ghosts really do exist. He invites several people to join him in this haunted house, to help with his research. Some of them are non-believers, but by the end of the story everyone believes.